Installing the PWA is very easy. 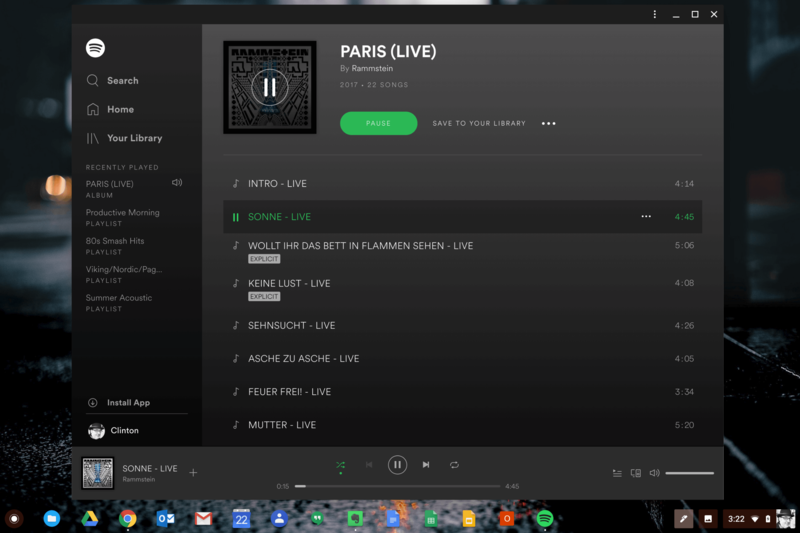 Just go to the menu in Chrome while you have the Spotify web player open. 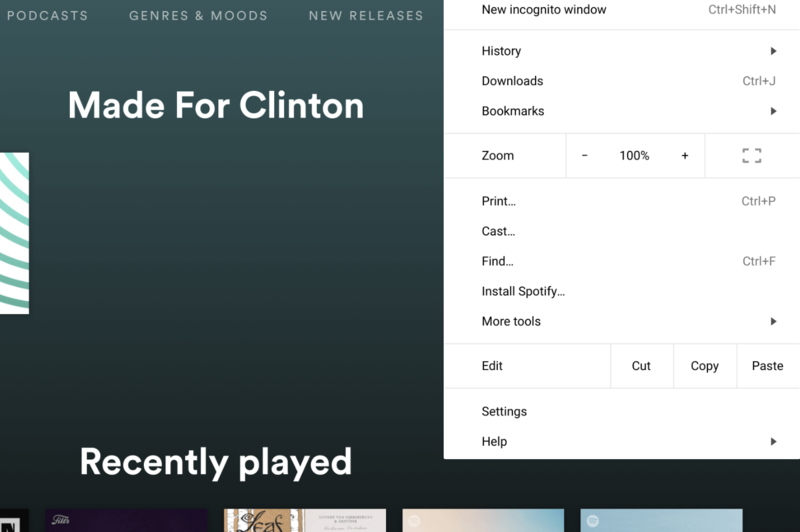 Find the “Install Spotify” option and click it. You’ll be prompted to install it from Chrome. Once you have it installed, you will have the app available just a click away and it looks pretty much like the Android app.